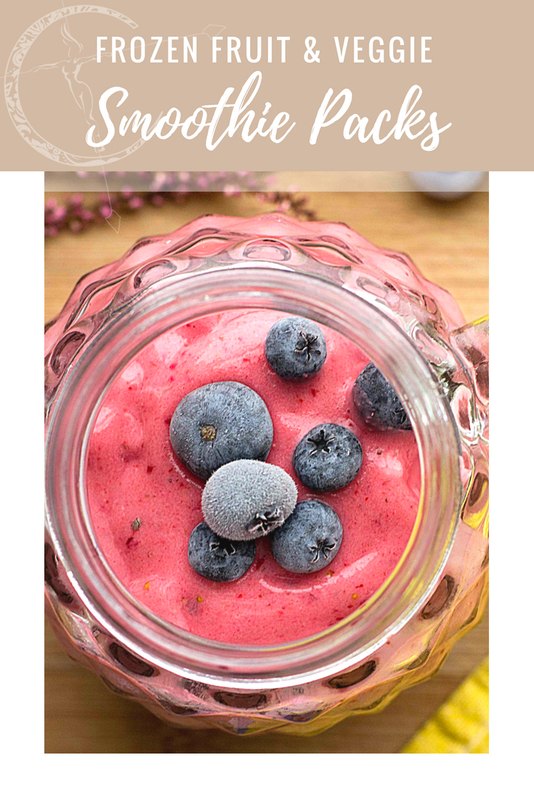 Often people would rather spend money on a smoothie than make one themselves, or not make one at all because they ‘take too much time’ and ‘are too costly to do yourself’. Not the case! 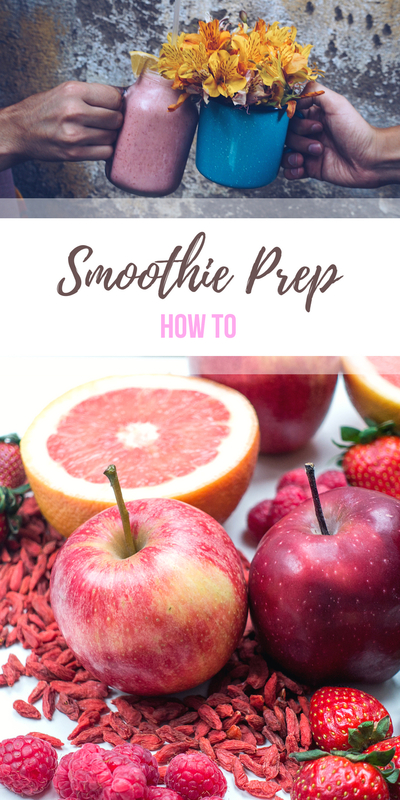 I’m going to let you in on a few little secrets of how easy it can be to make your own smoothies! I make a smoothie every morning for my husband and I. We are not morning people and start our days early, so homemade breakfast bars and anything you can grab and go are a must for us. (Check out my protein cereal bars recipe!) Sometimes we get so busy at our jobs that we end up taking extremely late lunches, which means we need a quick breakfast that can sustain us for hours. This is the main reason that I load my smoothies up with both fruits and vegetables. I found that frozen ingredients blend up better. The first key to smoothie pack prep is to buy your own FRESH fruits and vegetables and cut them up yourself to put in freezer bags. This actually ends up saving you more money than if you were to buy the bags of frozen produce. Plus, by doing it this way you can mix and match to create your own smoothie combinations if you would like. Doing so really speeds up the process once you are ready to make your smoothie! Another tip is to buy whatever is in season. This is something I always take advantage of because it makes a noticeable difference in cost later on. Not to mention the fact that you will always have whatever fruit or vegetable you feel like already stored away! When peaches or blueberries are less than a dollar I will buy tons of them to stash at home. That way when everyone else is buying them for more later on I don’t need to! I also suggest that you hand pick any fruits or vegetables you can! For example, I had access to a few fig trees over the summer and picked quite a few pounds of figs. These lasted well past fig season, and saved me a ridiculous amount of money. Remember to try to get as much air out of the packaging as possible to avoid freezer burn. 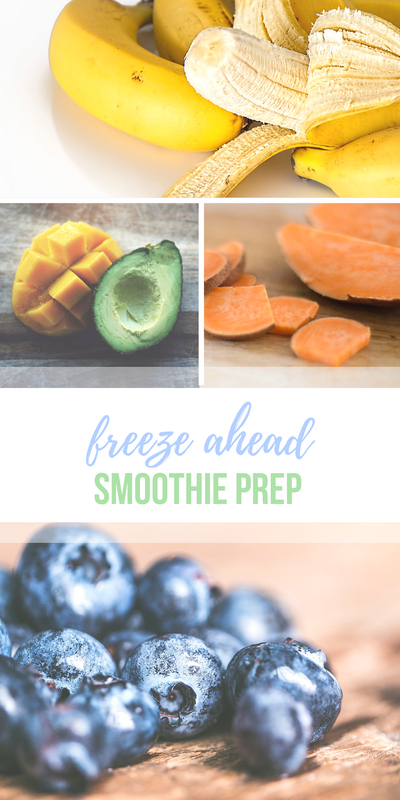 Fruit and veggies can stay frozen for about 10 months, so prep away! Recap of my main tips below. Do you smoothie prep? I am always trying new combinations, so let’s hear yours! We love smoothies here! And when we freeze the fruit before hand, I blend it extra thick, put it in a bowl with a spoon, then tell my kids to come eat their breakfast ice cream. Total cool mom points! Who can say no to “ice cream”?! 😉 Oh, and the chia seeds are “sprinkles”. Gotta find what works! HAHA oh I love this! So doing that with my future kids! These are a great for the summer time! Love smoothies! !